The terms "gadget" and "widget" we hear at every turn. Since not everyone knows their meaning, we will first conduct a small educational program. Moreover, the purpose of our review is to present the best widgets for gadgets based on iOS 8. Looking in the dictionary of the meaning of the words gadget (gadget) and widget (widget) the first thing we see is “adaptation”, “gizmo”, “gadget”. We can agree with that. Both the gadget and the widget are actually gadgets. True, the first "gadget" is most often associated with technology, and the second - with software. A gadget is a small electronic device designed to bring in diversity, improve and enhance a person’s daily life. A widget is a small application (addition to the application) that provides quick access to the necessary information or serves as a link to launch the parent application. Users of gadgets running OS Bada and Android have long been accustomed to widgets that "live" on the desktops of their devices. But the owners of the iPhone and iPad in this respect were less fortunate. Until recently, Apple did not see the need to include widget support in the iOS operating system. The situation changed only with the release in June 2014 of the eighth version of iOS. Third-party widgets must be verified by Apple. Currently, more than 40 iOS-compatible 8 applications for iPhone that support widgets are available on the App Store. In the description of such programs, you will definitely see one of the following phrases: “Widget”, “iOS 8”, “Notification Center”. Therefore, to find them is quite simple. So, we proceed to install. Download the app for the iPhone with widget support from the App Store and install it. Run the application and confirm the sending of notifications. Open the Notification Center and click the Edit button. In the window that opens, we see a list of all applications with support for widgets installed on the iPhone. Green plus marked applications, widgets that have not yet been added. Press the "green plus" key to activate the desired widget. Change the order of the widgets. Unnecessary widget can be removed using the red plus key. 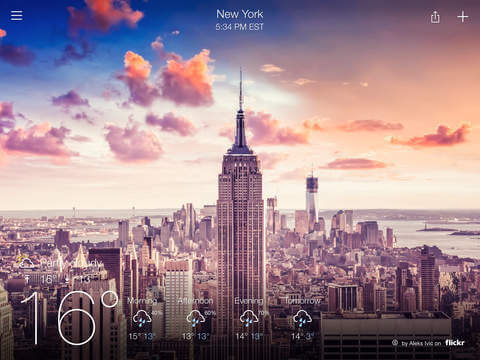 Yahoo Weather is a weather application for the iPhone, which is distinguished not only by current and detailed information, but also by its beautiful design. Photographs of the background best reflect the view of the city at the appropriate time of day. The source of the images is the Flickr service acquired by Yahoo in 2005. Very well chosen font and graphic icons for displaying data. The widget is an informer that shows not only the current weather, but also the forecast for the next 12 hours. And all this, of course, against the background of photos from Flickr. 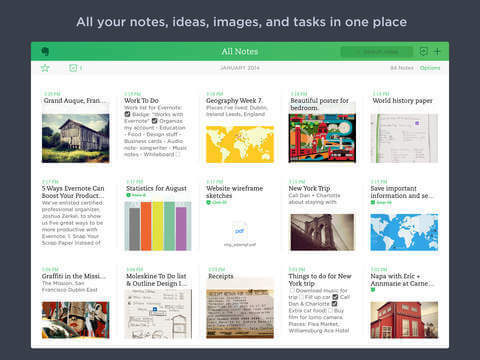 Evenote or Notebook “Remember All” is a service for storing notes, allowing you to synchronize information between all devices on which the user works.. The notes are texts, photos, audio files. Widget - a link to launch an application with a transition to texts, images, reminders, calendar and camera. On the iPhone Control Center tab, the widget displays the corresponding buttons: Text, Photos, Reminder, List, Camera. Immediately after clicking on the button, the user can create a note of the selected type. Instapaper service can be described in the following words - “postpone reading for later”. 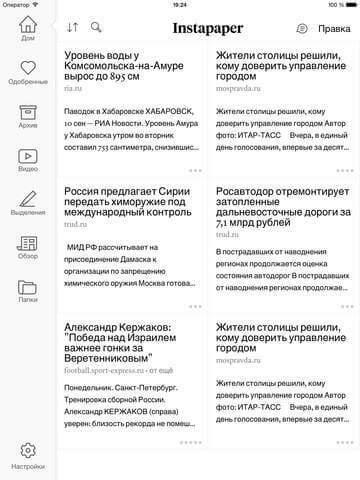 Often when surfing the Internet we do not have enough time to read all the interesting materials.. Nothing wrong. We save web materials using Instapaper for iPhone, and then calmly study them in our spare time. The widget displays all materials saved for the current day and allows you to open the application along with the selected text. We hope that now you can find suitable widgets for your gadget based on iOS 8 OS.